HTML5 isn't as confusing as it once was, but it still isn't straightforward. It's an evolutionary, rather than revolutionary, change in the ongoing story of markup—and if you're currently creating websites with any version of HTML, you're already using HTML5. Harness the power of this essential evolving spec with help from Jeremy Keith. Brush up on syntax and updated elements, and get ready to work with responsive images, microformats, and microdata. Through clear, practical examples, you'll be up to speed in no time. In this brilliant and entertaining user's guide, the author cuts to the chase, with crisp, clear, practical examples, and his patented twinkle and charm. 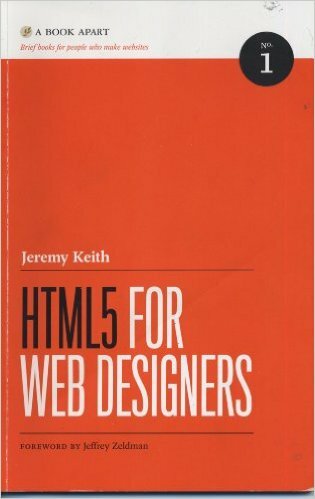 Jeremy Keith is an Irish web developer living in Brighton, England, where he works with the web consultancy firm Clearleft. He has written two previous books, DOM Scripting and Bulletproof Ajax, but what he really wants to do is direct.